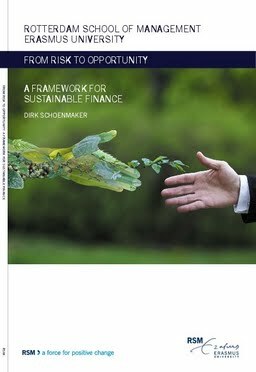 A Framework for Sustainable Finance: From Risk to Opportunity presents the switch from traditional finance to sustainable finance. While financial institutions have started to avoid unsustainable companies from a risk perspective (Sustainable Finance 1.0 and 2.0), the frontrunners are now increasingly investing in sustainable companies and projects to create long-term value for the wider community (Sustainable Finance 3.0). Major obstacles to sustainable finance are short-termism and insufficient private efforts. To overcome these obstacles, the book develops guidelines for governing sustainable finance. Note The author has published a shorter version of this book as an essay titled "Investing for the Common Good: A Sustainable Finance Framework" at the Brussels-based think tank Bruegel.